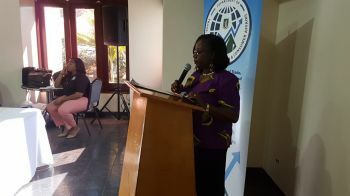 Director of Trade, Investment Promotion and Consumer Affairs, Mrs Karia J. Christopher said to entrepreneurs, "We have to understand that time is money," as she opened the expo designed to encourage the expansion of trade within the community, and reduce the level of imported products while highlighting the unique business opportunities that the local economy brings. Observing that the programme got started a little late, Mrs Christopher used the opportunity to hit home the importance of time management in the business environment, "I must admonish most of you, part of starting your own business is to understand time management," she said. The workshop and expo are both initiatives created to help entrepreneurs fully understand the ‘hows’ of running an entire business. Ms Christopher said, "Once we are selling a product or service we must understand we are selling to persons out there who invest in their time… If we want to make money, that's why you are in business too, you have to understand that time is valuable," she said. Making her debut public appearance with the department as the new Junior Minister, Honourable Alvera Maduro-Caines (R6) said the workshop and exposition represents critical chances for small businesses pioneers to develop and promote the full scope of their product offerings. "Whether a service provider, retailer or wholesaler, I have no doubt that you will leave today's activities feeling revitalized for [the] upcoming years of commercial opportunities," said Hon Maduro-Caines. 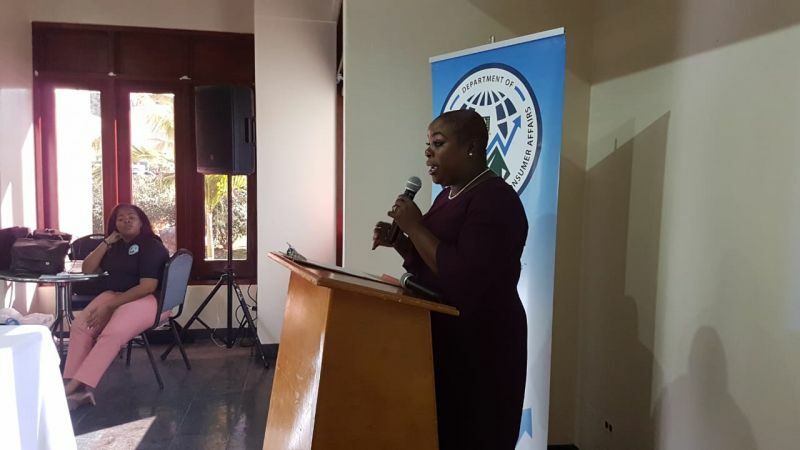 She said that the Virgin Islands (VI) is on the verge of a breakthrough as our tourism and financial services see rebounds from the catastrophes of 2017. Following the workshop, is the exposition where over 20 businesses will be on showcase and selling an array of products and services available locally to the community. 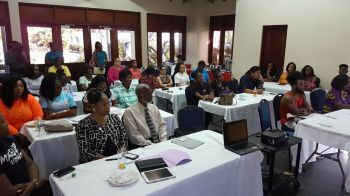 The all-day event is free of charge and is being held at the Moorings Marina Inn from 9:00 a.m. through 4:30 p.m. beginning with the Business Essentials Workshop. The workshop will focus on topics including, Getting Started as an Entrepreneur - Start-Up Basics, Selling Your Dreams (Marketing), and Customer Service Do’s and Don’ts. While I would like to support the director of trade, I certainly believe that her focus is misguided perhaps because she does not own a small business and not truly understand what it is to meet payroll, have to pay NHI, taxes, social security as well supplies and equipment to keep the business relevant. A big part of the failure of local business is that most of them fail to plan, so they plan to fail. They apply to real business structure from human capital to the accounting, especially accounting most of them still hiding from the tax man although we stopped collecting taxes on profit since 2004. There needs to be a real education process about business on a whole and the trade department does not have the proper staffing skills set to offer proper guidance , I sorry but putting on a talk shop does not help.